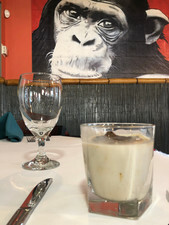 The folks over at Monkey Bar Steak & Seafood in Cape Coral are helping us spread some holiday cheer by sharing their North Pole cocktail recipe. Monkey Bar Steak & Seafood's ownership strongly stands by their mission to serve exquisite food and crafted cocktails in an inviting environment, the restaurant's website says. 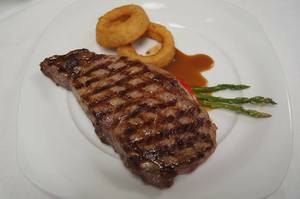 "Since we started operations in 2006, we have grown to become the best Steakhouse in Cape Coral as awarded by Cape Coral Breeze! We take pride in having a management team that has years of experience in the hospitality industry, which has allowed us to be ahead of the competition when implementing new food and beverage items." "Fill two small glasses with coffee cubes and top with cream, vodka and half & half. Sip slowly and enjoy." For more information, visit the website, Like them on Facebook, or call 239-549-8800.